<!-black-> This is my brief guide pertaining to stamp collecting. I collected some beautiful stamps with my daughter several years ago. Here is some of what I learned. I hope something that I have written here will help you. <!-purple-> VI. HOW MUCH ARE YOUR STAMPS WORTH? <!-blue-> Stamp collecting is called Philately. Generally speaking, that's just a big word that does not mean a whole lot. However, if you go online to find out more info on this hobby or you go online to find out more info about one of the stamps in your collection, or you go to your local library and want to get a book on stamp collecting, then this is a good word to remember so that you can access this field. <!-blue-> Stamps highlite people, places, and things. They can be educational in the fact that they usually lead to the study of a stamp topic. For instance, I got one stamp one time that had the word, Eire, printed on it. I had to do some research on it to understand that this is another name for the nation of Ireland. <!-blue-> I collected stamps when I was a youngster. I got the stamp collecting merit badge in the Boy Scouts. I really enjoyed this hobby and discovered a lot of information about other countries, besides my own. I fell on hard financial times when I was a young adult and had to sell that collection, however, I started this hobby again when my daughter was a young girl. <!-blue-> Here's how to get started. You can purchase a stamp collecting starter kit in order to begin this hobby if you want to. You can usually buy one of these at a hobby stamp store. One such kit is made by the W.E. Harris Company. This company has been around since I was a youngster. I have bought stamps from them and they have never disappointed me. One Harris kit contains the Independence U.S. Album, 150 all different U.S. Postage Stamps, a Magnifier, 300 stamp hinges, and U.S. Presidents and State Flag Seals. They claim that it is perfect for the beginner or weekend collector. <!-blue-> The company also has a book for sale named, "How to Collect Stamps". It's a useful resource for the beginning to mid-experienced collector. It offers the information one needs on how to get into the fascinating world of philately and it also provides a wealth of useful facts and data for current collectors. It has 116 pages. <!-blue-> When my only daughter got to be about eleven years old we started collecting stamps together. I had a few boxes full of old letters sent to my ministry from many countries of the world. I showed her how to soak the stamps off of the letters, dry them, and then how to mount them in our stamp albums. Besides being a lot of fun, it was a great way to give her quality healthy daddy attention. It also helped introduce her to various regions in the world where missionaries lived, and to general world geography. We had to get the world atlas out to find out where each of those nations was located from which we had a stamp. <!-blue-> Many Saturday afternoons just her and me would venture out to visit a hobby stamp store within a 50 mile radius of where we lived in Northern California. We would have a nice lunch together at a restaurant and then finish driving to the stamp store. We would browse through thousands of stamps from all around the world. We bought mostly the pretty ones that caught our interest that was within our price range. We collected stamps the topical way. She was mainly interested in cats and I was mainly interested in historical/military ones. <!-blue-> Several such stores were geared towards selling high-end expensive stamps to select collectors. They made some money that way. But we went mostly to the stores that sold stamps to all folks, including folks like us who collected as a hobby. One such store had a big plastic bin that was full of stamps. It had a sign on it that read 5 cents each. We bought a lot of pretty stamps out of that bin. <!-blue-> We collected stamps strictly for the fun of it. We spent some money but then every hobby will cost you some money, and besides, my daughter was worth the money and the time. This same store owner had a set of old catalogs that he sold us at a real discount. It gave us some way to try to figure out how much money our stamp collections were worth, anyways. <!-black-> A stamp album is basically a binder that has pictures of stamps on it's pages. You can make your own album from a standard school 3 ring binder. <!-black-> Why do you need it? It's necessary to keep your stamps safe while showing them off to your friends. You also need to organize your collection and this is a great way to do it. That way you can see what you have and what you don't have. Use a little heavier cardboard paper for the stamp pages as regular school binder paper is too thin and will bend too much. Remember to only use pages made from good quality acid-free paper. <!-black-> A tong is a tool used to handle stamps. It looks like a pair of tweezers. Why use a tong to handle each of your stamps? Your hands may have acid or food oil on them. These unwanted products may get on your stamp when you handle it. If this happens it may decrease the condition of your stamp. Then the appearance or price of your stamp may be less than satisfactory to you. Many times I will use a large pair of tweezers if I cannot find my stamp tongs. <!-black-> In order to place your stamp in your album you have to stick it there. Do not, under any circumstances, lick the back of a stamp to fix it to your album page. Or use a glue stick to stick your stamps with. This is not the right way to do it. Rather, you have to use one stamp hinge for each stamp to mount the stamp correctly. <!-black-> A stamp hinge is a small, folded, rectangular piece of paper coated with gum on one side. You usually handle each small hinge with a pair of tongs or tweezers to keep it from sticking to your fingers. <!-black-> Stamp hinges are not expensive and come in a packet of 1000 or so at a time. If you don't want to use a hinge then you can use a stamp mount. A stamp mount is just a little stamp holder made of paper. It is good for holding a stamp that has the original gum on the back of a stamp. The front is clear plastic so you can see the stamp. Usually a mount is used to protect a special stamp in your collection. <!-black-> A glassine envelope is just a little envelope make of special paper used to hold some of your stamps. If you have several of these they are great in helping you separate your stamps without harming them. They are also good to store your stamps in for awhile. <!-black-> When you purchase some stamps from the hobby stamp store the manager of the store will usually place your stamps in a glassine envelope so that you can safely get them home. And if you purchase some current commemorative stamps from your local post office, the clerk will usually place those stamps in a glassine envelope for you. <!-black-> A magnifying glass is good for looking at one of your stamps. What are you looking for? You are looking at it's general condition. The condition helps determine it's value. And sometimes you need to read the small print on a stamp or try to find a watermark. <!-black-> A Perforation Gauge is a little thin piece of metal with a lot of markings on it. These markings measure a stamp's number of perforations that are the tiny holes that separates one stamp from another. This is used in stamp identification and is an optional piece of equipment if you are only collecting stamps for the fun of it. <!-black-> A watermark detector is a little tray in which you pour special liquid in which you soak your stamp. This helps you see printed patterns on the paper on which the stamp is printed. This kind of identification helps weed out a counterfeit stamp or a forgery. This is used in stamp identification and is an optional piece of equipment if you are only collecting stamps for the fun of it. <!-black-> A stamp catalog will usually list the most important stamps that cost a certain amount of money. This is a good way for you to figure out how much money your stamp collection is worth if you are a serious collector. <!-black-> The catalog sometimes gives a photo of the stamp, as well, so it is helpful for stamp identification and is an optional piece of equipment if you are only collecting stamps for the fun of it. <!-blue-> A stamp is usually designed by an artist and is a miniature work of art. Just as you would only collect a work of art that appeals to you so it is with stamp collecting. You only collect those small works of art that appeal to you. That's what helps make this hobby fun. <!-blue-> If you are an invester then you might want to consider collecting rare and important stamps. Why? If you buy low then you might be able to sell high and pocket the profit. These kinds of stamps not only hold their value but are also going up in value all of the time. New collectors are continually coming on the scene looking for investments, however, I don't go any farther into it here as this is only a beginner's guide. <!-blue-> Topical stamp collecting is collecting stamps according to a topic or subject. This is a real popular way to collect stamps for fun and for a great hobby. You don't have to collect sets this way and you can collect only what you want to. You can add some stamps according to your interest as well as by beauty and color. <!-blue-> It's important for you to narrow down your field(s) of interest because there are millions of stamps in the world. My daughter decided that she liked cats and I decided that I liked historical and military stamps. So we focused on these, however, we also bought a stamp in a different field of interest because of it's artwork or because it was beautiful. <!-blue-> To get started on a topical collection you need to label your main pages inside of your school binder. My daughter and I used a black felt pen for this. We wrote the name of a different topic at the top of each page. Needless to say, we had a lot of blank pages to start with but that's ok. Then, you need to go out and find the stamps that will be a treasure to you. You can create a nice collection this way. Your stamps can be expensive or not expensive depending on you. My recommendation is to make your hobby as fun as it can be to you. <!-blue-> Here are some general topical fields (if you care to use them). You can add your own category, sub category, or what have you. In other words, you can have any topic that you want to create. Then you can mount any stamp here that has a picture on it of one of those animals. (Exploring, individuals, Dwight D. Eisenhower, Kings & Queens, Presidents, African Americans, Albert Einstein, Rulers of Countries, Shakespeare, etc. <!-blue-> Let's say that you live in the USA only want to collect stamps from Canada. Then you set a goal for yourself to collect all of these stamps. You need to get a stamp catalog from that nation to let you know what you need, and then purchase the stamps from various companies and individuals. <!-blue-> These stamps are also called First Day of Issue stamps. The very first day that the post office releases a particular stamp it prints an envelope to go with it. You purchase the stamp already fixed to the envelope. You save the entire envelope. It costs more and you have to have special pages in a special binder to hold your collection. <!-blue-> I used to collect a lot of these and found them quite attractive and a special novelty item. <!-blue-> Commemorative stamps are larger and generally more colorful than coil stamps or stamps that come from the post office in a small booklet. <!-blue-> If you buy commemoratives new from the post office you usually have to ask the clerk for them and he or she usually has some in their drawer. These kinds of stamps usually have as their subject a certain cause or historical event. A clerk that is not too busy will sometimes place all of what he or she has on their desktop and let you take your pick. The post office usually only keeps these for sale for 60 days or so. This is a great way for you to start your collection. <!-blue-> Some folks like to collect only certain kinds of stamps. <!-blue-> You can collect a sheet of stamps. This is a sheet printed by the post office and is highly prized by most collectors. <!-blue-> You can collect special delivery stamps. This is a special stamp for a special activity performed by the post office. These come in different colors and designs from time to time in the USA. <!-blue-> You can collect a block of 4. This is 4 identical stamps hooked together by their original perforations. <!-blue-> You can collect definitive stamps. This is just a regular, brand new stamp that is currently sold at the post office for the purpose of sticking on a letter. The post office continually prints different ones for different amounts of money. <!-blue-> You can collect airmail stamps. This is a stamp so that the letter will go by airplane rather than by truck or train. However, a lot of first class mail travels by airplane, anyways. <!-blue-> You can collect stamps by the set. Many stamps of nearly every country in the world will occasionally produce a set of stamps rather than just a single stamp. It can be a set of 2, or a set of 3, or 4 or more. Some collectors get the set perforated while the stamps are still attached to one another. While some collectors get the set one stamp at a time. <!-blue-> And there are other kinds of stamps and other methods of stamp collecting not mentioned here. <!-red-> And there is also the remote possibility of a great grandparent's DNA being on the saliva when he or she licked that stamp. Some DNA testing is done now in tracing family tree lineage. You destroy this DNA opportunity if you soak the stamp off. This does not hold true with most of the modern USA stamps as they are self stick and don't require licking. <!-red-> If you are a youngster a great place to get stamps is from your grand parents. I remember going to Texas from California to visit my grand mothers. I asked them for stamps off of some of their old letters. I got a lot of good ones from them because they were old and they were sentimental and liked to hord old correspondence to re-read from time to time. And don't forget your great aunts and great uncles as well as your aunts and uncles. <!-red-> This is also a great way to spend some quality time with them- to get to know them and have them share their life with you. It's tragic that most grand children cannot tell you the first name of their grand mother or grand father. And don't forget that your grand mother and/or grand father has a circle of influence amongst his or her friends. I remember going with my grand mother to visit her friend out in the country. And that person may have stamps to share with you also. <!-red-> Some of your friends may also collect stamps. If they do they might have extras that they are willing to trade you for your extras. That can be a lot of fun. <!-red-> A trip to the hobby stamp store is great fun, relaxing, and entertaining. If you have a lot of time you can usually browse through tons of binders containing a lot of stamps. And you can usually purchase these stamps individually or in sets. My daughter and I were entertained by looking at the variety and the uniqueness of many stamps from all over the world this way. She picked out the ones that she wanted and I picked out the ones that I wanted. <!-red-> You can also purchase stamps from your local post office. Sometimes a clerk there will have a little extra time to show you what he or she has to sell. This is a great way for you to get mint condition stamps that have never been mailed. <!-red-> Selling stamps brings in a lot of money to the government of the USA. The envelope sold with a stamp on it started in 1853, before the Civil War. At present 600 million are sold yearly. <!-red-> You can also purchase stamps from stamp companies. 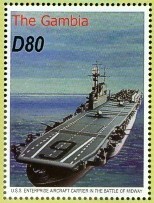 For example, Harris Company will sell stamps to a person who picks out the stamps he or she wants from their catalog. Send your payment in with your order and they will send you the stamps via regular postal mail. <!-red-> Ask your local postmaster or city librarian for the location of any local stamp clubs in your area. Finding one online near you is a possibility . <!-red-> If you are in high school and your school does not have a stamp club then you might think about starting one. Talk to your principal about this. Or if you are in the Boy Scouts you might want to get the stamp collecting merit badge like I did many years ago. <!-red-> There are online stamp groups whose members may not be in your area, but who share a wealth of information. <!-red-> The American Topical Association is a non-profit stamp collecting organization. If you are collecting stamps the topical way then you might consider contacting them. <!-red-> If you are not collecting stamps the topical way then you might want to contact the American Philatelic Society. This organization has a lot going on- contact them to see if there is anything going on in your area. <!-red-> When you physically get together with other club members you can usually pick up some good information as well as having a chance to buy, trade, or sell some stamps of your choice. <!-blue-> When you find a cancelled stamp on a letter that you want you don't want to try to peel it off by hand. This will tear the stamp and any stamp that is torn is worthless. <!-blue-> Instead, check the post mark on the stamp. Some folks collect post marks that sell higher than the price of the stamp by itself. Take your scissors and carefully cut out around the post mark leaving at least 1/4 inch below the bottom of the postmark. Some postmarks are really unique and most have different sayings or statements. <!-blue-> If you don't want to save the postmark then take your scissors and carefully cut the envelope around the stamp. Be sure not to cut the stamp. Keep your scissors away from the stamp as far as possible- at least 1/4 inch or more if possible. If there is more than one stamp do not try to cut between them. Instead cut the entire area around both of the stamps. <!-blue-> Most stamps have water solluble glue on the back of them. That means that you can safely take the stamp off of the envelope by soaking it. If you want to soak one stamp or several at a time then get a bowl of clean warm water. Place your stamp/envelope connection into this water and let it sit for an hour or so. A good rule of thumb is to leave the stamp in the water until it comes loose from the piece of paper envelope by itself. <!-blue-> After the stamp has come loose place it inside of a dry paper towel that you have folder over. Place a book or magazine on top of it and leave it for a day or two until it is dry. If you have two or more stamps connected by their perforations that you want to separate- now is the right time. Gently separate the stamps apart at the perforation line. If you have really old stamps then leave them connected because separating them apart may damage some of the perforations which will lower their value. <!-blue-> Make sure your stamp is dry before you place it inside of your stamp album lest it curl up. If this happens you have to re-soak it and hope that it is not damaged or ruined. <!-red-> Once you figure out where each stamp is to be placed in your stamp album then use a stamp hinge to mount it. <!-red-> Take the gummy end of the hinge and lick the upper part of it. Then place this moistened gummed end onto the back of a stamp and fold it (if it is not already pre-folded). If you fold the hinge be careful when you use the tongs not to damage the stamp in any way. Then lick the lower part of the hinge and fix it to the album page- thereby firmly holding the stamp on the page. <!-red-> If you have difficulty removing a dry hinge from the back of a stamp do not rip it off of the stamp. Why? If you do this it may cause some paper to be pulled off of the back of the stamp. If this happens the stamp has decreased in value because this is considered a flaw by stamp graders. Rather than rip the hinge off of the stamp it is better to soak the stamp so any torn hinge(s) will come off without hurting the value of your stamp. <!-red-> If your stamp does not have much value a shortcut is to take a pair of scissors and cut the dry hinge off close to the stamp. Be careful not to damage the stamp. Then apply a new hinge to somewhere on the stamp. Sometimes you can apply a new hinge over part of an old one on a stamp. Whatever works safely and efficiently. <!-red-> Never affix cellophane tape directly to a stamp. Never use a glue stick to put glue on a stamp to stick it to an album page. <!-red-> If you rip or tear a stamp then throw it away because it is worthless. <!-black-> VI. HOW MUCH ARE YOUR STAMPS WORTH? <!-black-> If you have an old rare stamp then you may want to know how much it is worth. The guidelines for grading are found in some philatelic catalogs. Generally, a stamp that does not have a postmark on it is considered a good candidate for serious grading. It might be graded in mint condition. <!-black-> Many old stamps are pictured in catalogs. The Scott Standard Postage Stamp Catalog is the most popular and probably the most referenced. It is used internationally. It comes in at least a 5 volume edition. However, the publisher can change this so check their website from time to time if you want to get their current catalog. <!-black-> Generally, a grader looks at the overall condition of a stamp. Does it have a postmark? It usually has to be without a postmark on it in order to be in mint condition. Does it have bright colors or are they faded out? Does it have any grime or stains on it? Is it crooked or off-centered? Is the paper on the back of the stamp intact or is there a thin spot? <!-black-> A grader will check to see if there is a watermark to make sure it isn't a forgery. He or she may use a perforation gauge to make sure of the stamp's identity. All of this comes into play when you are a serious collector and go to sell one of your stamps. "While it is obviously unethical to repair torn or damaged stamps in such a way that the repair cannot be detected with the naked eye, there are many instances when the appearance of a stamp or cover can be improved without altering its basic condition. <!-black-> Cellotape and other types of self adhesive tape are always tricky to remove, so it is good to experiment with a cheap stamp or cover first. <!-black-> Cellotape will come away easily after using a warm iron, but it does leave a sticky residue behind. This can be removed with benzine or lighter fuel. Although this will leave no visible stain immediately, it could cause discolouration over a period of time. <!-black-> A few torn covers in my collection have been mended by previous owners with tape and these have gone brown and stained over the years. In this case, I would not recommend removing the tape because the staining is unlikely to be removed since it has already impregnated the paper. <!-black-> For repairing tears in old covers, the best and safest method is to use the gummed part from an envelope flap or the margins from stamp sheets and to mend the tear from the inside. Naturally, the tear will show, but there will be no visible sign of the mend. <!-black-> Usually, stamps need handling with great care, but there is an exception to the rule that I have found successful in cleaning stamps. However, this method can only be used for stamps without gum and which are printed in stable inks on uncoloured paper. The old maxim still applies: if in doubt, don't. <!-black-> Wet both your hands with warm, not hot, water and place the stamp to be cleaned in the palm of one hand. Rub a finger of your other hand over a bar of plain, uncoloured and unscented soap, and gently rub the stamp using small circular movements. Do not use tongs when cleaning stamps this way since the paper becomes soft and could easily be damaged. When the stamp is as clean as possible, rinse it under plenty of cool water until all traces of the soap are washed away. Then, place it between two sheets of clean white blotting paper and press with a warm iron until dry. <!-black-> A soft artist's putty eraser will also clean surface grime off stamps and covers. This has the advantage that it can be used on specimens where soap and water prove unsuitable. <!-black-> Unless you know something about chemistry, I would suggest avoiding chemicals as cleaning agents. Benzine used to be "the thing" for cleaning stamps, but I have never been happy using it. Benzine will damage stamps printed by photogravure as the inks used for this process are soluble in this chemical. It is also best to remember that whether you are using benzine for cleaning or detecting watermark, the vapour is highly flammable and must not be used near any sort of a flame, including cigarettes, pipes and cigars. <!-black-> Greasy looking stamps may indeed have had an oily substance spilled on them at some stage, or else the greasy looking mark could be caused by the gum having penetrated through to the face of the stamp in odd patches. <!-black-> To deal with stamps soiled with grease or oil, you need a household iron and ironing board. Place the stamp between two sheets of brown paper and gently run a warm, not hot, iron over it. Repeat this process several times, changing the position of the stamp to a clean piece of paper each time, until as much grease as possible has been removed. Then, liberally sprinkle the stamp with French chalk and place the stamp between clean paper and leave under pressure for 24 hours. This should get rid of all the grease, but if it has been there for a considerable time, the process may need to be repeated two or three more times. <!-black-> In the 1930s, some stamps were gummed with a paste that contained acid. Most of the remaining stocks of these issues are brown and discoloured. It is unlikely that anything can be done to restore their colours at this late stage. However, if the stamps are unused and still have their original gum, it is recommended that all trace of it is removed by gentle washing. <!-black-> While it is clearly advantageous from an appearance point of view to have stamps and covers that look pristine in your collection, it is not ethical to repair them in such a way that future owners are fooled into thinking that they have acquired perfect specimens. <!-black-> For moral reasons therefore, it is best to clean items with soap and water and erasers and to mend by means that are immediately visible to the naked eye." <!-blue-> Stamp collecting is fun and educational. It leads to creativity, relaxation, satisfaction, and an appreciation for the arts. <!-blue-> One day my daughter and I found only one set of big kitty stamps at a hobby stamp store. This set was beautiful in color and had a tiger, a leopard, a lion, and a cheetah. I wanted it, but my daughter had to have it so I let her have it. And this scenario repeated itself time and again. After she was grown up and had left home I offered to buy her stamp album from her. She said, no way! When I asked her why, she replied that those stamps had sentimental value to her. The time that we had spent together collecting them was worth more to her than the value of the stamps themselves. <!-blue-> So there is fun and value in collecting stamps. I encourage you to have as much fun collecting them as I did.